It is time for slayers to take on a new task. 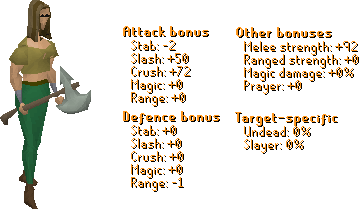 Introducing superior slayer encounters! Fancy a bit of a break from your long slayer task? Want a bit more of a challenge after having killed 100 of the blasted things? Well, superior slayer encounters are for you! 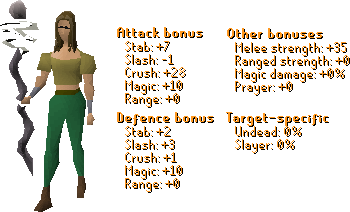 Unlocked for a one-off cost of 150 slayer points, superior slayer encounters occasionally appear while you're slaying on task. They are a higher level, more challenging version of a slayer monster. Superior slayer encounters can be toggled on or off whenever it suits you. If a superior slayer monster spawns for you, only you will be able to kill it. If you choose to take it on, you'll receive three rolls on the drop table of the standard slayer monster. On top of three loots in one kill, there are also some brand new drops available from superior slayer monsters. The imbued heart is an unlimited source of magic power, able to boost your magic level. Once every 7 minutes the imbued heart can be used to give a magic boost of 1 + 10% of your magic level. Superior slayer encounters also offer a 100% drop rate for totem pieces (when killed within the Catacombs of Kourend), 100% ensouled head drop rate and a 10x higher clue scroll drop rate. The average drops of these monsters has been taken up a fair bit, making them much more lucrative to kill. The drop table improvements for kurasks includes the addition of the leaf-bladed battleaxe, a brand new weapon capable of damaging turoths and kurasks. On world 358, three dwarves are now working around the clock to keep the Blast Furnace running at its best. The dwarves will allow you to use the Blast Furnace as they run it for 60,000 coins per hour. If you wish to use the furnace on world 358, deposit coins into the coffer found just near the bank chest. Once you have deposited coins, they will constantly drain as you use the furnace. You can withdraw your coins at any time. At no point will players be able to interfere with Stumpy, Pumpy and Dumpy's running of the Blast Furnace on world 358. If you would like to aid with the running of the furnace, you can do so on any other world. Previously, you would earn an additional supply crate for every 500 points you earn, but any points in between these milestones were of no value. Points earned between milestones will now provide you with a chance of an additional supply crate, even if you do not hit the next 500 point milestone. You must still earn a minimum of 500 points in order to receive a supply crate. A respawn timer is now visible within the prison. The warning message upon leaving is no longer displayed when the Wintertodt is subdued. Potions will no longer be removed from your inventory between encounters, providing you do not leave the area. Burning Bruma kindling now provides 25 points. Healing the Pyromancers now provides 30 points. The Firemaking experience given for burning kindling has been slightly increased. The message displayed when trying to perform an action while the Wintertodt is subdued has been added to the game filter. The drop rate of various items have been changed, including the pyromancer gloves, bruma torch and burnt pages. The phoenix pet no longer shows an NPC marker on the mini-map. A small number of text changes have been made. Scabarites now have an extend option available from slayer masters for 50 slayer points. The achievement log displayed in player-owned houses now displays white knight rank and fastest Zulrah kill. World 357 is being used for a Last Man Standing tournament taking place at RuneFest this Saturday. The world will be inaccessible this week. It’s is no longer possible to tick-eat vengeance damage. The phoenix pet now has the correct options when in the menagerie. The Vecna Skull aka. Imbued Heart will be extremely useful. Also looking forward to Australian servers. Can you guys elaborate on the drop rate changes of the Pyromancer gloves? Was it nerfed or buffed? Also, thanks for the additional loot crate feature. - As someone who use to rely on Blast Furnace for bonds instead of my Green Sugga Daddy Snake, I'm way excited to have an NPC operated world. But I'm worried that it'll be too clogged with bots (let alone players), to be even usable on anything but a NASA computer. There was an update to the Blast Furnace so that the organized griefers could be tracked... but we never heard what came of that investigation or the findings. I was much more in favour of punishing those players (so it would stop finally) - than creating an off-putting update to BF clans to cram us all into one mega world. I feel disappointed that LMS had such strong attention to its integrity to where even teaming became an account related offence, whereas griefing at places like Castle Wars and Blast Furnace in particular had little attention paid to it seemed-- especially since we never even heard of what were promised to be investigations into the BF abusers..
- Imbued Heart: Looks awesome - I'm hoping it'll open the dialogue to Super Magic Potions; It's nice to have the Vecna Skull in-game again, but was wondering if we could poll a passive effect? Perhaps an invisible +5 Magic Boost? Imbued Heart is mostly for Zulrah really, so something to keep in effect for every trip would be nice. P.S Thank-You for buffing previously unviable Wintertodt Methods! Very nice I like this update! 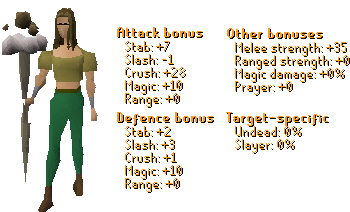 are there any rates how rare the slayer encounters are? Can the default size of the official osrs client please be changed to size of the fixed screen? It is a great struggle having to manually fix the size of the client. edit: Also, How come white coloured clothing is not an option in Thessalia's "total clothing-makeover"? Achieved 2277 total on August 5th 2014.